Crowd-based innovations are emerging everywhere. This research compares developments in three different top sectors. Eefje Cuppen is conducting research into the energy sector, Bram Klievink is looking at the logistics sector and Neelke Doorn is focusing on the water sector. Case studies are being monitored in each sector. Cuppen: “We will be investigating how these initiatives, as well as government bodies, supervisory authorities and so on, deal with the conflicts that emerge when the initiatives come face-to-face with existing structures.” By exploring crowd-based initiatives in these three sectors and designing and testing interventions, the researchers hope to gain a better understanding of which forms of regulation, cooperation and supervision are needed in order to ensure that crowd-based initiatives actually result in socially responsible innovations that properly reflect public values. What happens in a case like Jouliette when a group of people go ‘off grid’? How does that affect the fixed costs of the existing energy network? Will these increase for existing customers in order to plug the gap left by those setting up their own systems? Will this not result in inequality between different population groups? These are questions that the researchers will explore. “A crowd-based initiative system not only needs to anticipate a changing context, but also changing values. This is because values that may be of little interest at the moment could become important in the longer term: look at the value of ‘sustainability’ for example. How do you safeguard these kinds of things? These are interesting challenges presented by this project.” Ultimately, the research should result in a general framework that can serve as a guideline for socially responsible innovations and specific governance interventions for a number of specific crowd-based initiatives. The final results are expected in 2021. 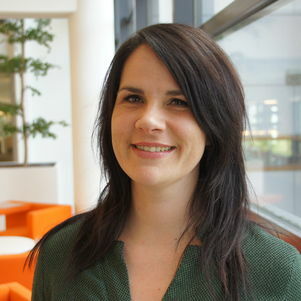 Eefje Cuppen is associate professor in the Organisation & Governance research group in the Multi Actor Systems (MAS) department. Read more about the project Governing Crowd-based Innovation.